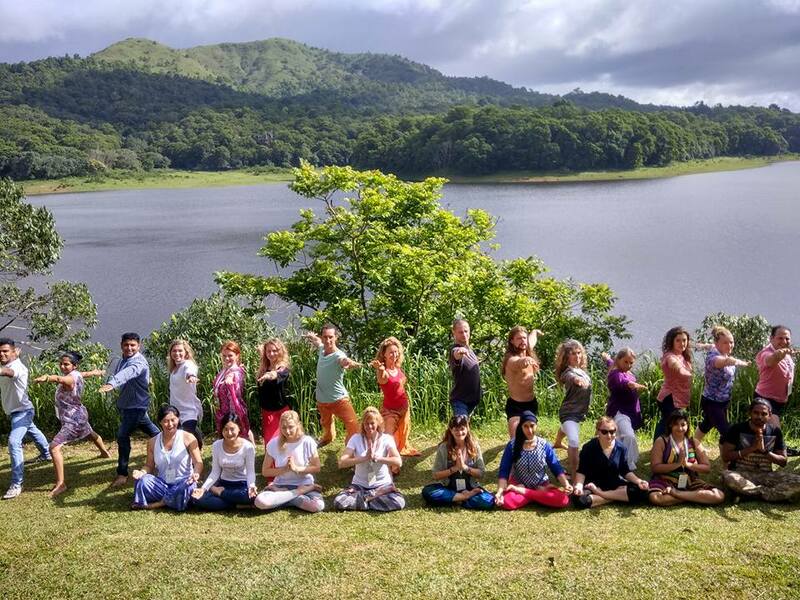 Yoga Ambassadors Tour (YAT) 2018, a specialist familiarization trip for practicing Yoga, which commenced on 13th June, was a visual treat for tourists across the world. 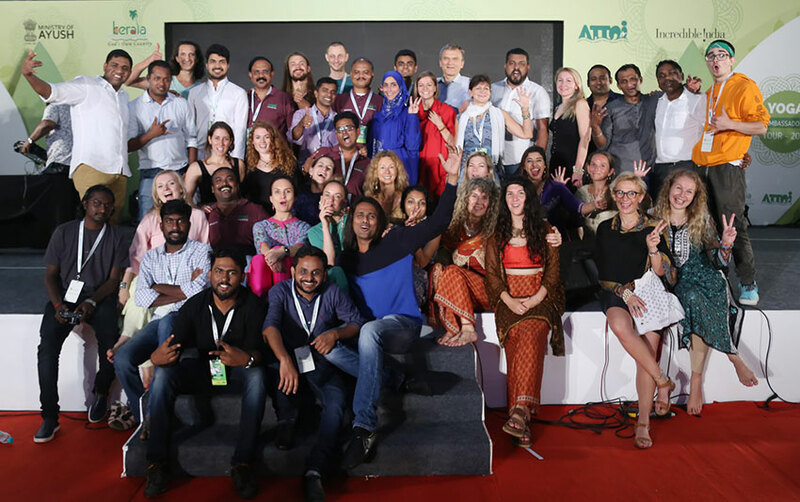 Around 52 representatives from 22 countries were given first-hand experience of the picturesque state Kerala, located in the southernmost part of India. 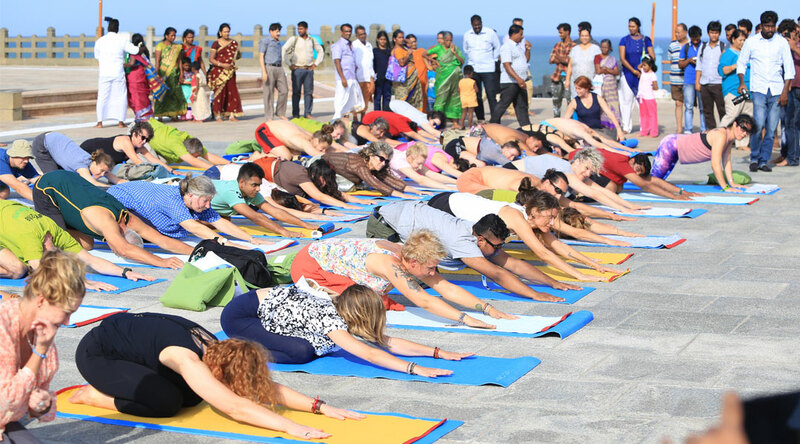 The 10-day tour was a conglomeration of yoga with sightseeing that gave delegates a unique experience of the state. In a way, it has enhanced the scope of Kerala as a global destination for yoga. The state is known for its unique, niche tourism forms. Some of the forms like Eco-tourism, Responsible Tourism (RT), and Rural Tourism were the brain child of the state and till date have successfully increased revenue in tourism business. Launch of YAT was an innovative idea, thus making the state known as the birth place of yoga. YAT could inculcate a feeling of harmony amongst the delegates who had come from different countries, speaking various languages and having different religious beliefs. Thus, YAT redefined Yoga, as a unique form of tourism that inculcates and increases bond of friendship amongst developed as well as developing countries, creating a whole new global scenario of harmony and love. The tour that started with Kovalam, traversed through picturesque destinations like Kanyakumari, Kollam, Alappuzha, Munnar, Thekkady and finally ended in Kochi Marriot. It was a unique experience for me as well. I had the opportunity to be the part of it on the last day ie 21.06.2018. The day started with Yoga practice. The hall was filled with at least 100 yoga enthusiasts. International yoga day was celebrated with great colour and fervour. The foreign delegates while entering the venue had a glow and a unique brightness, which I believe came from within them. Equally, I could find the enthusiasm in the eyes of the organizers as well. The venue was well planned. I also had the opportunity to join the yoga session which literally rejuvenated me. In between I noticed how delegates were indulging themselves in selfies and last minute photos in their mobiles in order to capture their unique moments. The attraction of the venue was the presence of the star actor, Navya Nair who stole the show. I got the opportunity to stand with her in the same Dias which was dream come true for me. Morning session ended with a packed breakfast, tea and coffee. Evening programme started with the felicitation for the organizers and to my surprise the delegates gave them a standing ovation and took the stage thanking the team of organizers. I could see and feel the positivity amongst the delegates and the love they hold for the country. Their speeches had lots of enthusiasm with most, assured of coming back again to the state for this experience. They were very much elated, and greeted the organizers with roses and hugs which showed the bond amongst them. The cultural programme showcased the talents of Kicha the youngest chef in the world and classical dance by actor Navya Nair. Overall, I would say YAT amongst all controversies and post Nipha, which had engulfed the Kerala tourism business, was an idea par excellence. The organizers did a fabulous job and gave the state a new niche tourism form which will help in garnering more number of tourists. This could be a step further for tourism research as well. The support given by Ministry of Ayush and Department of tourism made the educational tour a unique experience to all delegates. This for sure will be shown in the months ahead. Hence, in the end I would like to say for sure that, this is a start of an incredible journey of the incredible state i.e., Kerala. Dr. Sindhu R Babu is Asst. Professor of Travel and Tourism at the Department of Travel and Tourism in Govinda Pai Memorial Government College, Manjeshwar, Kasaragode, Kerala.